Boston is a popular vacation destination; it has a rich history, offers lots to see and do, and has a lively social scene. I'm truly lucky to call this place home! One of my favorite ways to experience this city is through weekend staycations exploring new restaurants and destinations throughout greater Boston. 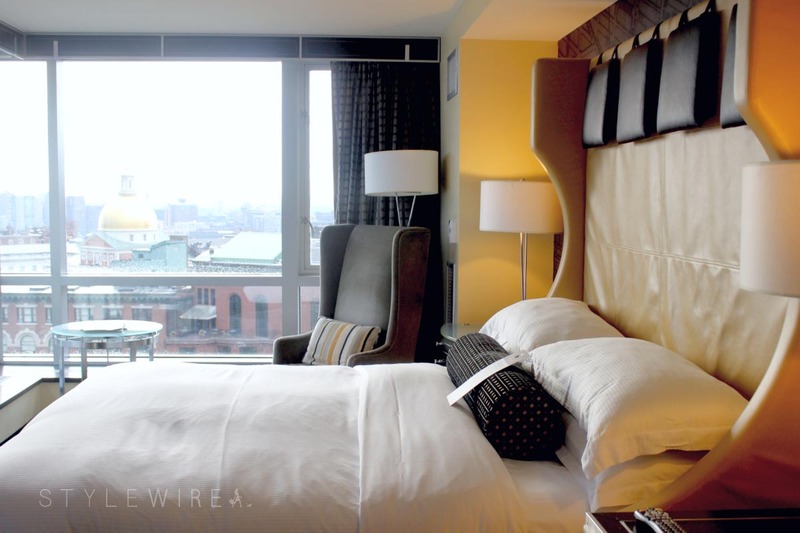 A couple of weeks ago I ventured to the Nine Zero Hotel to experience Boston through their Live Like a Local curated guest experience. Style & Experience curator Ricardo Rodriguez partnered with the Nine Zero to create an unforgettable Boston experience including hotspots such as Boston Chops, Salon Mario Russo, Fresh Beauty, and my own shop, Frank + Oak! I checked in after work on a Friday afternoon and the entire experience was unforgettable! The staff was super friendly and let me know about the complimentary wine tasting for guests as well as nearby dinner suggestions before helping me with my bags. 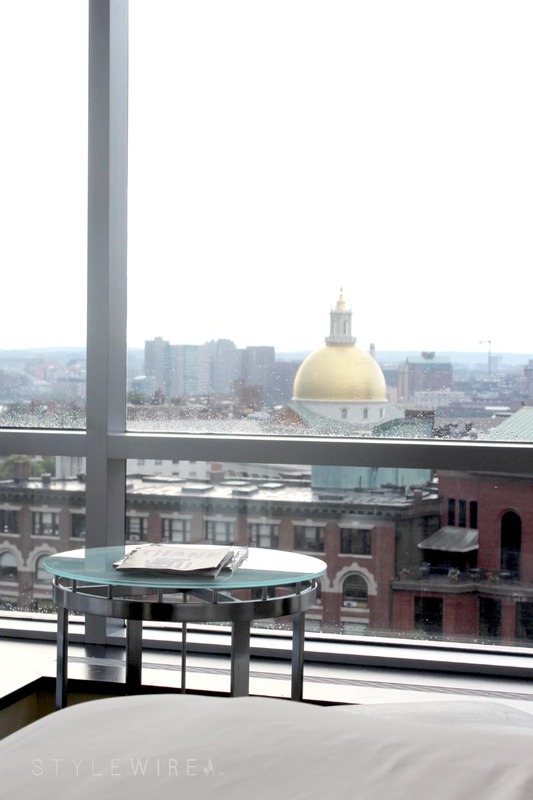 My room, located on the 18th floor, had floor to ceiling windows with a stunning view of the State House and Beacon Hill, sweeping as far as Kenmore Square and the infamous Citgo sign. It was absolutely incredible! After checking and getting settled, I ventured to Mare Oyster Bar for dinner followed by an evening at the Highball Lounge located inside the Nine Zero Hotel. Known for a consistently great DJ, a lively crowd, delicious apps, and some unique (and often flaming) cocktails, the Highball Lounge has been one of my favorite night life spots in the city. The following morning I ordered breakfast in bed before venturing all over Boston. I scoped out some of Ricardo's Live Like a Local picks as well as a few my own including the Museum of Science and a visit to Club Monaco! This city never runs out of places to explore and things to do making it the perfect destination for any traveller. I had an unforgettable experience at the Nine Zero hotel, and if you enjoy a stay there I'm sure you will be able to see why! I was provided a complimentary stay at the Nine Zero Hotel. All content and opinions expressed are my own. Thanks for supporting those that support Style-Wire.com!